Predator Adventures has come to the Docklands from America to give all adrenaline seekers a thrill of a life time. This is a very new and unique nautical adventure to hit London and is the first commercial Seabreacher operators in Europe. So if you ever wondered what it would be like to be a predator of the sea. Well now you can experience just that. The Seabreacher is half-submersible speedboat with a viewing platform. 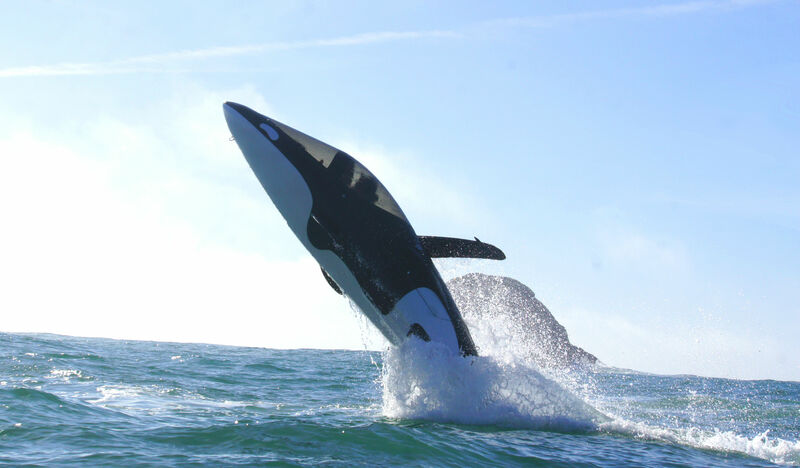 On board you will jump in the air of 18 foot like a killer whale, you will experience incredible high speeds, tight turns, under water dives and jumps above the water. Firstly before your ride of a lifetime your qualified pilot will ask how tame or wild you would like your ride to be then all you have to do is sit back and enjoy or should I say squeal like a dolphin. To find out more go to their website at Predator Adventures. If you could be a sea predator what would you be? I’ll start off by answering the first question I’m always asked about my experience at Predator Adventures: What is scary. Yes, there were points when I felt scared, but only as I was getting used to the whole experience and settling into the fact that I was barrelling down the Themes river in a metal machine. Thankfully though, I had full confidence in my pilot who drove in front of me, and in the fish shaped vessel.